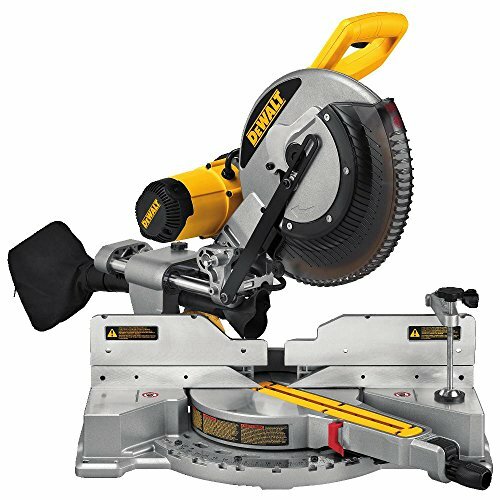 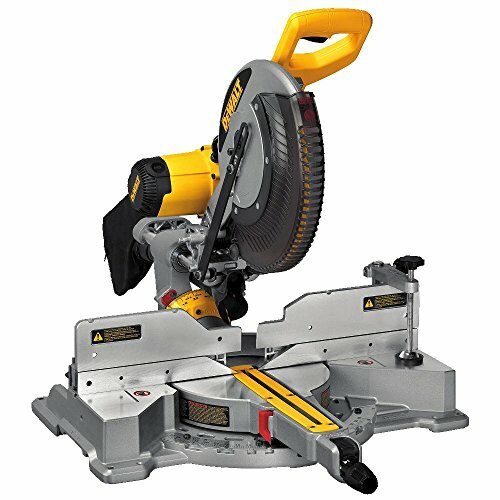 The DEWALT DWS709 12″ Slide Compound Miter Saw includes a powerful 15 Amp, 3,800 rpm motor that delivers extended power and durability. 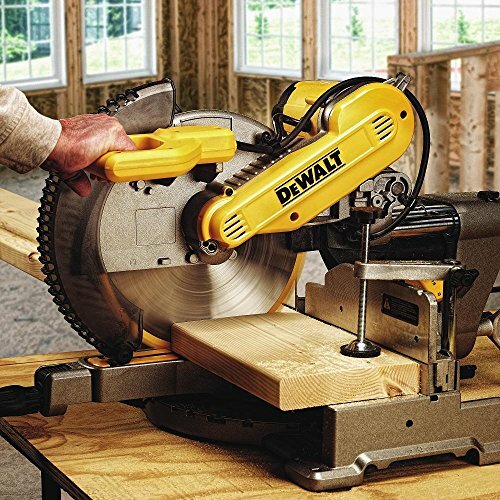 It has tall sliding fences that beef up crown molding as much as 5-1/2″ nested and base molding as much as 4-1/2″ vertically against the fence, whilst easily sliding out of the best way for bevel cuts. 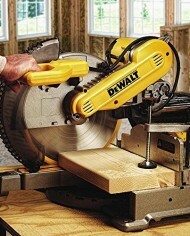 An exclusive back fence design cuts as much as 2×14 dimensional lumber at 90 degrees, and 2×10 at 45 degrees. 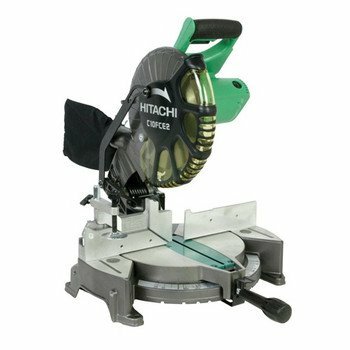 This saw offers an adjustable stainless steel miter detent plate with 13 positive stops which improves productivity and ensures cutting accuracy. 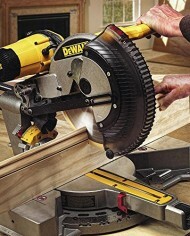 Miters 60 degrees to the fitting and 50 degrees to the left providing increased capacity. 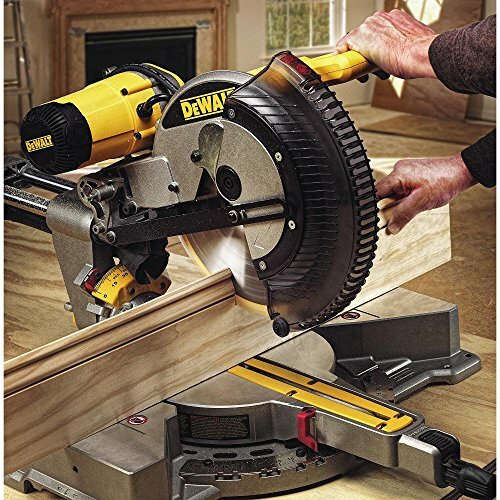 The oversized bevel scale makes bevel angle adjustments accurate and easy. 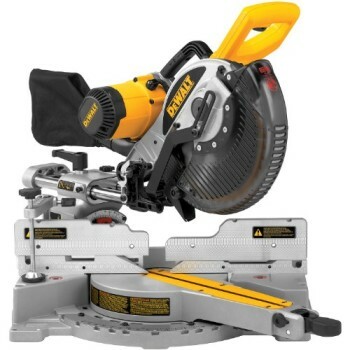 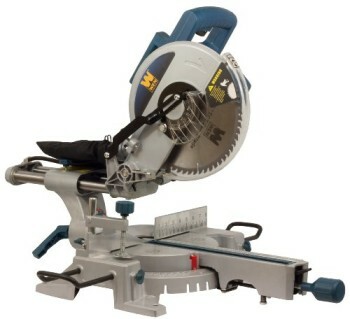 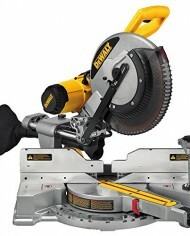 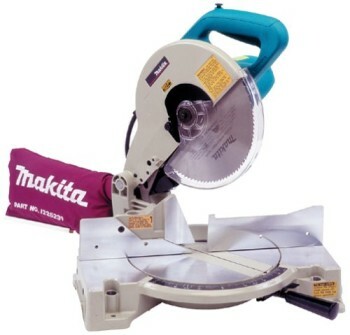 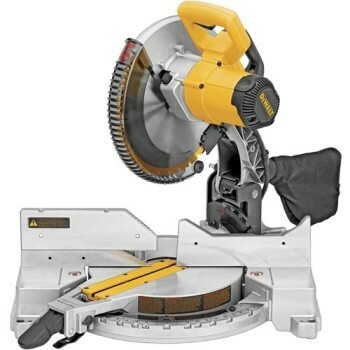 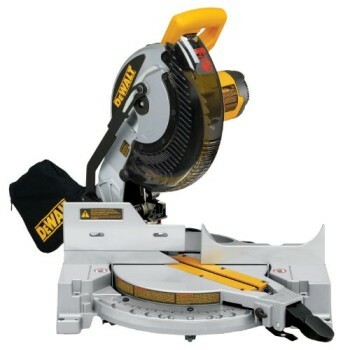 This saw also includes a compact, lightweight design (51 lbs.) 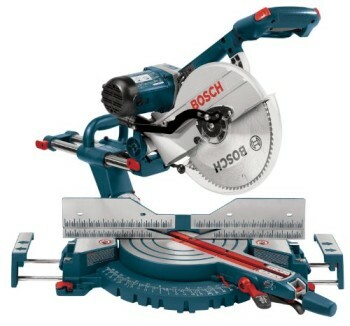 that permits for simple transport and storage. 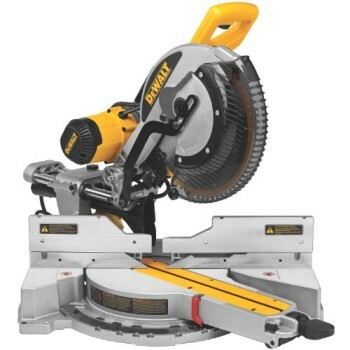 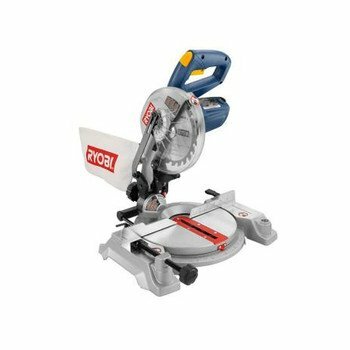 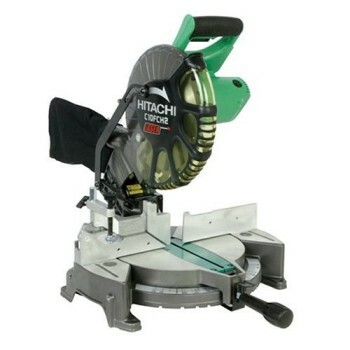 It has dual horizontal steel rails with linear ball bearings that deliver an accurate, durable and compact saw. 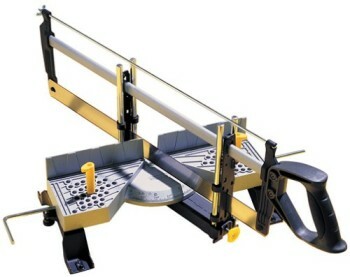 The appropriate miter system and machined base fence beef up optimize it is durability and cutting accuracy. 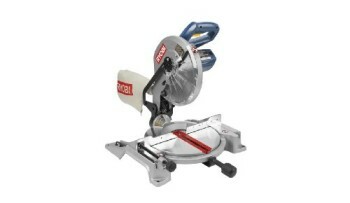 Includes: Carbide Blade, Blade Wrench, Dust Bag, Users Guide, Material Clamp.